Today's Event 7 in the #WPTDSThunderValley Series is a $10,000 Guarantee, $160 buy-in Omaha 8-or-better tournament. 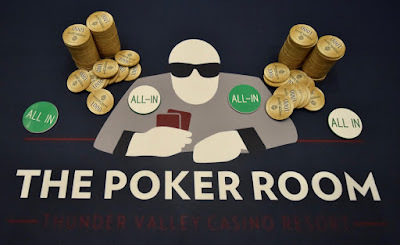 Begin play with 12,000 stacks and play 20-minute levels during the 6 levels that registration and a single re-entry is available. Move to 30-minute levels at 1:15pm - the start of level 7, when registration closes - and stay at that timeframe the rest of today's play.